“Hi my name is Kent and I’m a recovering pessimist.” If there were a recovery group for pessimists I’d be there. I grew up in a family that was always waiting for the other shoe to drop, always ready for the ‘sh*t to hit the fan’. Perhaps this type of doomsday thinking came from my parent’s growing up as children in the Great Depression. Regardless of its source this type of pessimistic thinking was part of my childhood. I remember however as a child in later elementary school thinking that this was no way to live. I intentionally sought refuge in the homes of friends whose parents had a more sunny disposition and hopeful way of looking at the world. As I grew older I came to realize that being optimistic, hopeful was a choice. Later as a recovering pessimist I read a book by Tim Hansel entitled ‘You Gotta Keep Dancing’. The book is Hansel’s story of living with chronic pain after shattering his back in a mountaineering accident. I want that joy that Hansel speaks of. As an adult I’ve had my share of challenges and heartache but I’ve learned to lean into my faith and place my trust in the God that Tim Hansel speaks of and in that relationship I’ve been graced at times with joy. But I know myself pretty well. I understand my capacity to look at the world as a glass half empty. And so I say: “Hi, my name is Kent I’m a recovering pessimist.” In doing so that pessimistic part of me loses much of its power and I can once again make that choice to be hopeful, even joyful. I write this on the eve of Thanksgiving. This day invites us to focus on what we have rather than what we don’t. Thanksgiving invites us to count our blessings. For pessimists this day is like oxygen, inviting us to reorient our way of thinking and being. Whether you be an optimist or a recovering pessimist, I wish you a Thanksgiving where your glass is half full even to overflowing. May joy be yours. And I am grateful to you, my loving wife for teaching me how to move beyond pessimism and to live more fully with hope and joy! Ah, I just don’t see it (ha! Happy Thanksgiving). 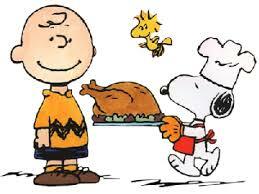 Happy Thanksgiving to you to, Canadian and otherwise! Ed! You my friend are a mentor for me in being positive and joyful in life!